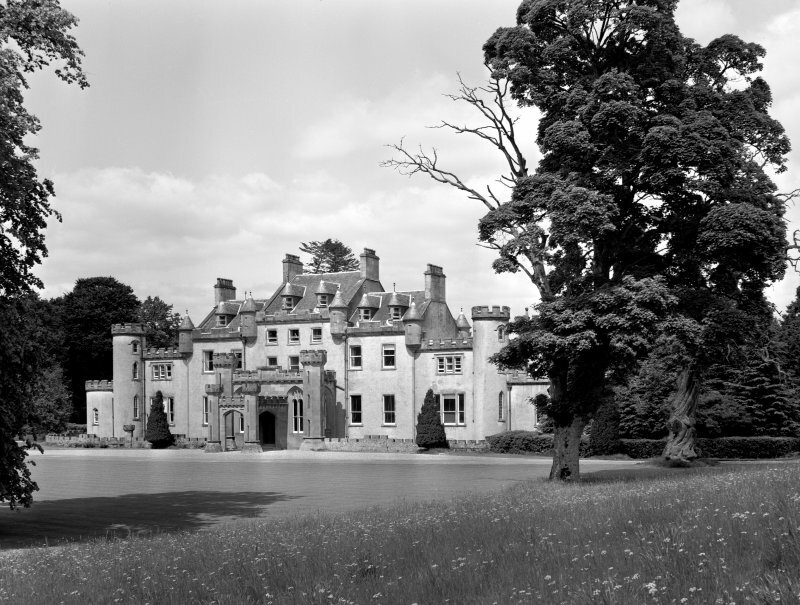 Photographic survey of Lanrick Castle, Perthshire, by the Scottish National Buildings Record/Ministry of Works in June 1964.
storey and basement ends. Crenellated throughout with pepper-pot turrets at centre. 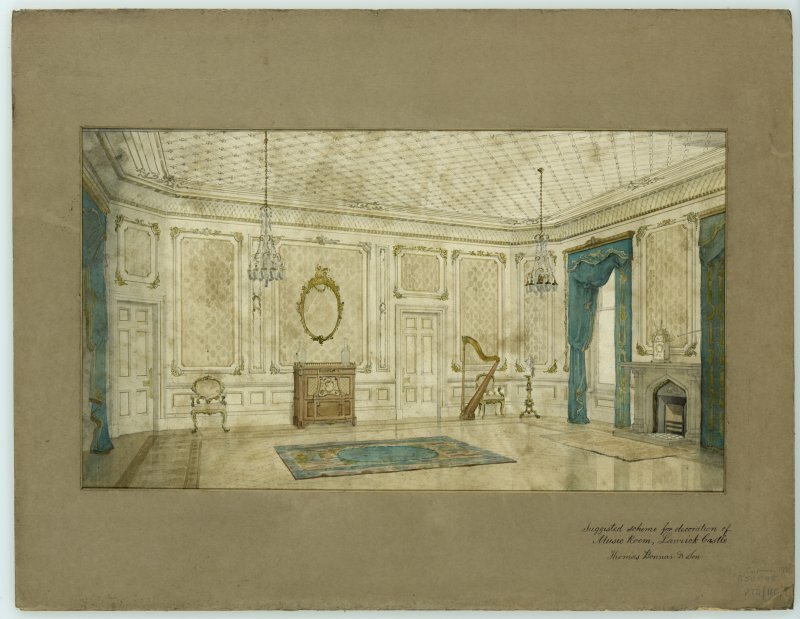 Gothic entrance hall and porte-cochere of ashlar added in manner of J. Gillespie Graham c.1815, main house probably c.1790. Attic dormers, Heiton type c.1875. 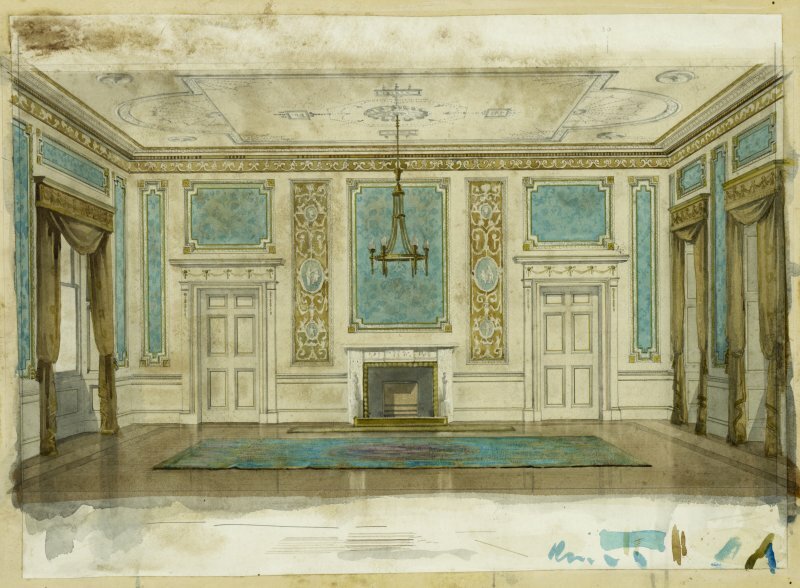 with gothic cast-iron work, east rooms remodelled c.1900.